Composed by Isaac Albeniz (1860-1909). Edited by Norbert Gertsch. Sheet music. Henle Music Folios. Classical. Softcover. 55 pages. G. Henle #HN648. 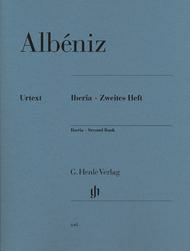 Published by G. Henle (HL.51480648). 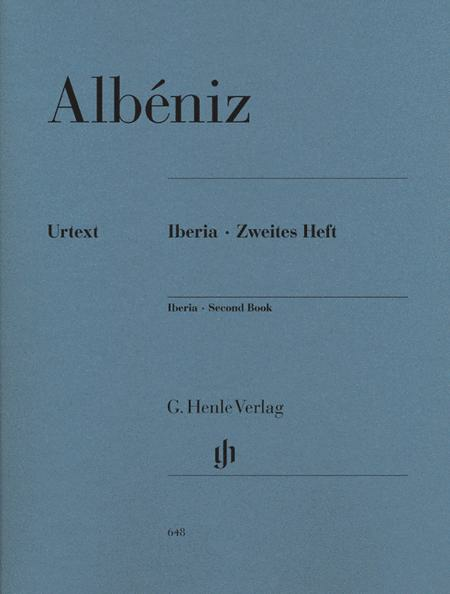 The first book of Albéniz' four-part cycle “Iberia” has already been published in an acclaimed Henle Urtext edition and many pianists are now eagerly awaiting the remaining ones. The second book in this collection of melodious portraits of Spanish places is now available. In “Rondeña,” “Almería” and “Triana” Albéniz once again fuses his knowledge of European classical music with elements of Spanish folk music, although he hardly ever directly cites the latter, but rather reinvents it in an authentic manner. The rhythmic and colorful effects will delight both players and listeners. To date, this edition is the most authoritative rendering of this very difficult suite of pieces. I commend Dr. Norbert Gertsch on his diligence in producing this very fine volume. I look forward to Books IIi & IV when they are published.